In less stable parts of the world, air raid siren control systems are an essential part of life. The air raid systems are frequently installed in police stations and are typically sounded to warn of air raids or missile attacks on civilian population. Due to advances in technology, there has been a steady increase in the techniques that can be used to improve the system. But, to ensure that the system is working it needs to be continually monitored and to improve the monitoring of their systems a national defense agency is planning to upgrade its aging system by using LAN, Microware , UHF and VHF communication as well as choosing Advantech’s real-time monitoring solution to supervise and manage those vital facilities. Because air defense concerns people's lives and property, security and warning networks must cover the most of a country’s cities and towns, this new system adopted a multi-layer framework to control the air-raid sirens, and includes a Main Control Center, Regional Control Center, Civil Defense Control Center and Alarm Station. Despite the equipment being on standby in peacetime, authorities have to be confident that each center or station is working normally. Therefore the facilities and the operating environment in the machine room have to be remotely monitored all the time. The related hardware devices for monitoring the system need to be highly durable to ensure 24-hour operation and the customer even asked that the products should have a life expectancy of 10 years or more. 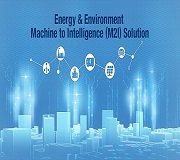 Supporting a PC-based computing capability to run the control process and offer robust design to provide better reliability as well as enduring poor operating environment in non-metropolitan areas are also concerns for this application. 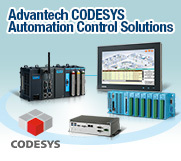 Due to the necessity of the project to be fail safe and uninterruptable, Advantech provided a redundant structure by using industrial grade computers and automation controllers to guarantee stability. Two types of high performance rackmountable IPCs, the ACP-5360BP-46RE and ACP-4000MB-00XE, which are designed for mission critical applications, are installed in control rooms to be the server and workstation with both of them providing the necessary features to minimize system downtime. Meanwhile, Advantech implemented a modular design to leverage the functionality of a range of APAX series products. The APAX-5570, PC-based Controller with Intel Celeron M CPU, is used as a compact controller to monitor the conditions of various facilities in the Main Control Center (including temperature, humidity, fire smoke detector, air-conditioning, dehumidifier, UPS, CCTV, and UHF/VHF wireless device) by inserting an APAX-5520 into an APAX-5570 it operates as a Backup controller. In this architecture, the APAX-5520 focuses on the input/output control and monitoring for APAX-5000 IO modules, featuring real-time control performance; the APAX-5570 is in charge of other tasks which needs higher computing ability for databases and communication. Such dual CPU architecture can ensure system reliability so if one of them has anything wrong, the other can take over. 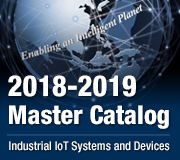 The APAX-5520 can also be used as a standalone controller by using a range of integrated diverse communication interfaces or digital/analog IO modules to transmit telemetry data to a master system and by receiving commands from the master supervisory system to control connected objects. As a Remote Terminal Unit (RTU) with excellent integration ability, the APAX-5520, through its low power consumption, fanless mechanism, and high degree of interface connectivity is suitable for simple warning stations or remote areas. Compared to the old system, without any equipment status monitoring functions, adding Advantech’s real-time monitoring system enables proper management for each station and control center by collecting a diverse range of information and remotely controlling numerous devices. For this air-raid siren control system, there are more than a thousand hosts (ACP and APAX) and a variety of modules to be applied. 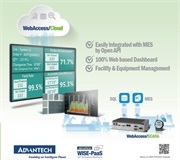 Thanks to Advantech’s modular design, the monitoring system can be integrated with any other devices as a powerful backup platform but also can be used for distributed deployment as an independent controller to satisfy the needs of different stations while achieving the space-saving and high-efficiency goal. 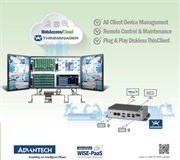 Once nearly a hundred stations have been implemented, Advantech’s solution successfully passed the customer’s demanding tests to sound the alarm within 0.5 seconds after sending the command and ensure that 99% of stations are functioning properly. It proved that Advantech’s solution is the best choice for this remote warning application.